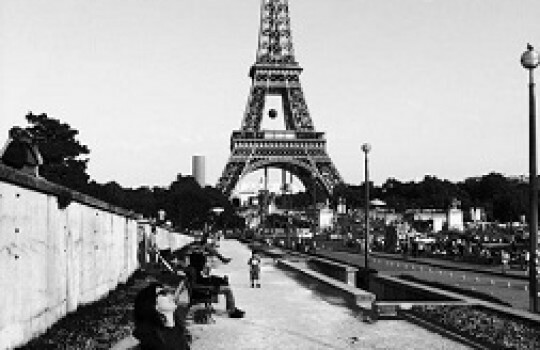 My best friend and I dreamed of going to Paris together since we were kids. I’ve lived there for 6 months during an exchange program, but visiting with my best friend showed me the city in a new light. 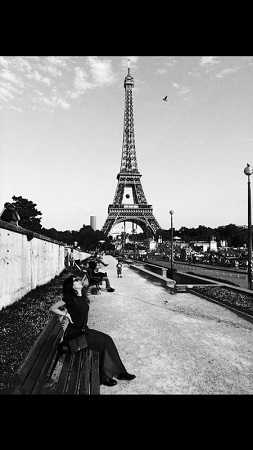 We went there in June 2014, basking in the Parisian Art de Vivre for three sunny summer days. Our itinerary was quite comprehensive and we managed to do a lot of exciting things in a short time. We were lucky to get a cozy hotel in the famed Saint-Germain-des-Prés neighbourhood for a reasonable price and this helped us navigate the city easily. Hope you enjoy our suggestions! We arrived in Paris early Saturday morning. 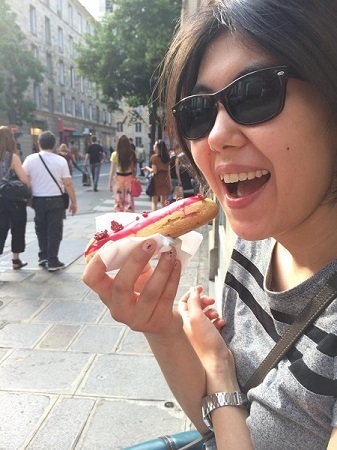 The start of our 3 days in Paris was focused on top sightseeing spots. At the train station we bought a 3-day metro ticket at the kiosk (cash, credit cards but no Amex). The ticket saved us a lot of money, as metro is the most efficient way to get around in Paris. If you’re an experienced cyclist, you can rent a Velib bike just about anywhere, but you need to know the city pretty well. We were staying at the Hotel de Saint-Germain on Rue du Four right next to the Sèvres - Babylone and Saint-Sulpice metro stations. Considering the superb location, this 3-star hotel was cheap, neat and friendly, storing our luggage before check-in and ordering us a cheap taxi to the airport later. If you want your own room in a great location for a reasonable price - it’s perfect. After the hotel, we started our Paris itinerary with the world’s first ever department store - a temple of luxury Bon Marché to pick our Louvre tickets. Order the tickets online to skip the queue on one of the official websites such as Fnac or Ticketweb. You cannot print tickets yourself, so you need to pick them up. Le Bon Marché is a benchmark department store, famous for its iconic architectural staircase. There are many things to enjoy there even if you don’t plan on dropping lots of cash - like the beauty hall on the ground floor for a little lipstick delight or a food department abundant with mouthwatering French produce, patisserie, charcuterie and wine. After Le Bon Marché we walked all the way to the Notre-Dame through the beautiful Saint-Germain neighborhood. We had to cross the Seine to get to the Île de la Cité, where the cathedral is located. 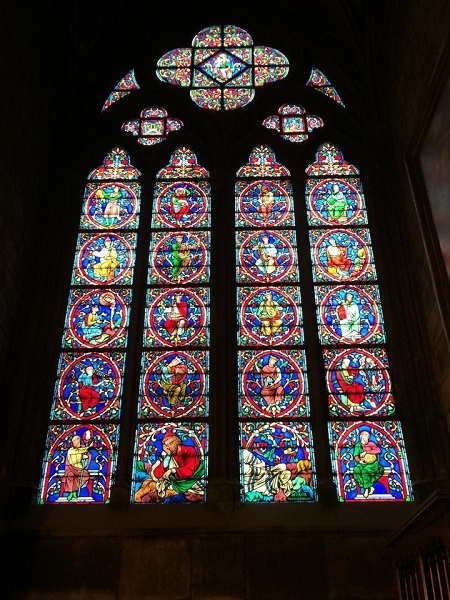 Notre-Dame is an engrossing experience, especially if you’re a fan of Dumas or Hugo novels. 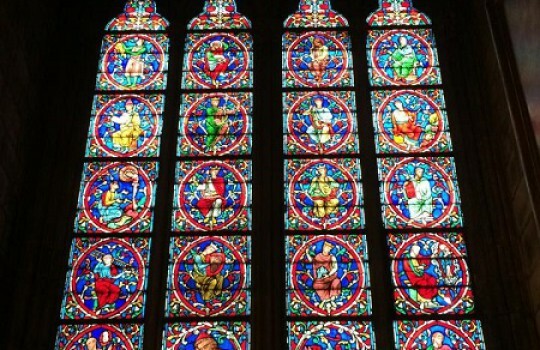 Make sure to get a view of the church from the left bank to see it in its full glory. Once inside, have a look overhead for the amazing architecture. From Notre-Dame we walked along the right bank to Louvre. Walking along the Seine is a scenic must-do, especially for the historical Pont Neuf Bridge. Within the Louvre, we went straight to the Italian Renaissance hall and the Mona Lisa room. Hold your belongings well in that one. Then we checked the Louis XIV rooms, which are a new addition to the museum. The Napoleon III apartments are also notable, preserved in their original state. If you’re eager to have a proper French lunch in a brasserie, make sure to go between 12:30-14:00. Most brasseries and bistros are closed before and after until 19.00. Research in advance for “service continu” places if you want to eat outside these hours. We didn’t do any restaurant research, so we had to improvise. We found a place in Strasbourg Saint-Denis, which is a multicultural neighbourhood slowly gentrified with hip eateries. However, the place only served light tapas and we were pretty hungry. So we ended up going to the Grands Boulevards (which is also a nice area to hang out) to one of the chain restaurants. Walking from Grands Boulevards, we went to see the Opéra Garnier, a beautiful symbol of the Belle Epoque. The walk from Opéra to Place Vendôme with a statue of Danton is definitely worthwhile. This is where the society of luxury originated in Paris with many first jewellery stores, including Cartier. We took the metro to the Bir-Hakeim for the Tour Eiffel. After enjoying close-up views, we went to Champ de Mars to chill in the greenery and watch street dancers and skaters who often perform there. This area is full of street Eiffel Tower sellers, but they are not too intrusive. 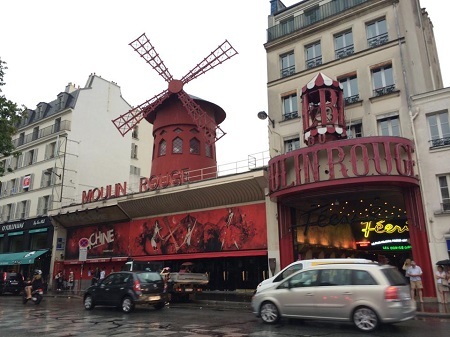 We had a cabaret show booked at Lido for 21:00 as my friend was eager to see a real French cabaret. The Lido show is quite theatrical and technologically scenographic with lots of effects, including an ice show. However, for a more cutting-edge and provocative cabaret, go to Crazy Horse. 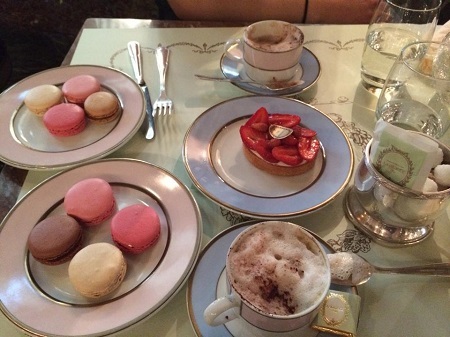 Before Lido we quickly went to Ladurée (which was completely full) to have a quick coffee with macarons. The Arc de Triomphe is also visible from there, you can climb inside for a fee. At about 12AM we ended up in the famous café Les Deux Magots, where the likes of Sartre, Hemingway and Picasso used to hang out. This is one of the most famous cafés in Paris, now overpriced but still romantic to enjoy a summer midnight. Next morning, we got up early and went to Pierre Hermé on rue Bonaparte - an iconic French confectionary with artisanal macarons and pastry. I’d definitely recommend it over Ladurée - the flavors are much more exquisite and sophisticated. 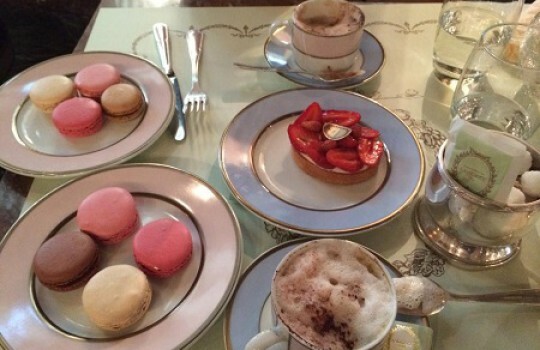 We had the famous rose petal croissants, passion fruit chocolate macarons and even a tart for breakfast! Along the way, we passed a couple of unique concept stores in the Saint-Germain area, including Hedi Slimane’s Saint Laurent flagship and Patrick Roger chocolate concept store. 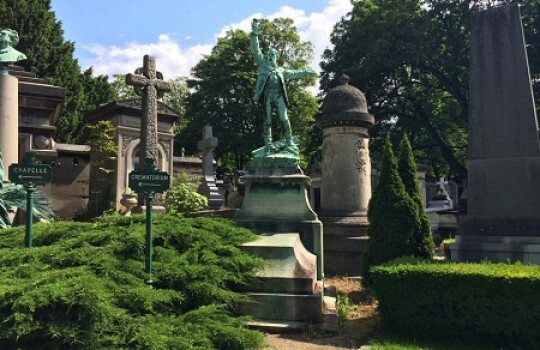 We took the metro to Gambetta to visit the Père Lachaise cemetery. It is an ethereal outdoor experience, where you can reflect on life in absolute serenity. The cemetery is big and full of hills, so if you plan to visit a lot of graves, prepare accordingly. 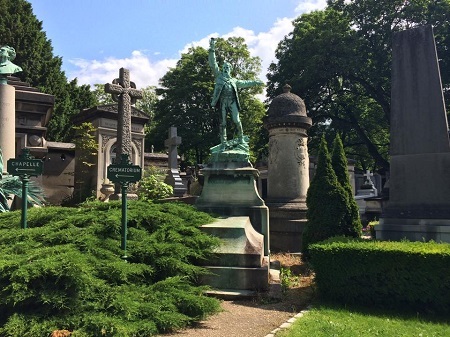 We saw the Jim Morrison gravestone, Edith Piaf, Modigliani and the infamous Oscar Wilde tomb. After taking metro to Bastille, we had a traditional Côte de Bœuf with red wine in a homey French brasserie, Chez Paul. The Musee D’Orsay is not open on Monday, so we spent the Sunday afternoon there exploring the most comprehensive collection of French Impressionists. 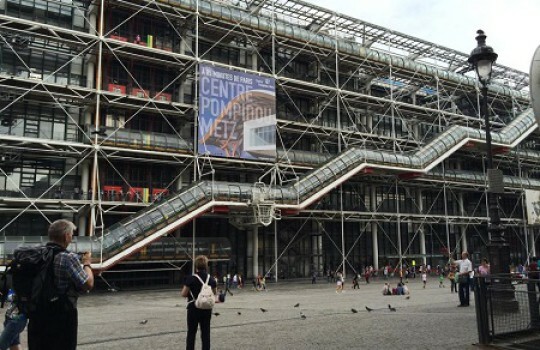 This is my favorite museum for its amazing architecture, unique exhibitions and a bookstore rich with great art books and criticism publications. The trendiest area of Paris, Le Marais, is the beating heart/ hipster central of contemporary Parisian culture. Buzzing with ever-changing pop-ups and cutting-edge boutiques, this neighbourhood is great for people watching and shopping. 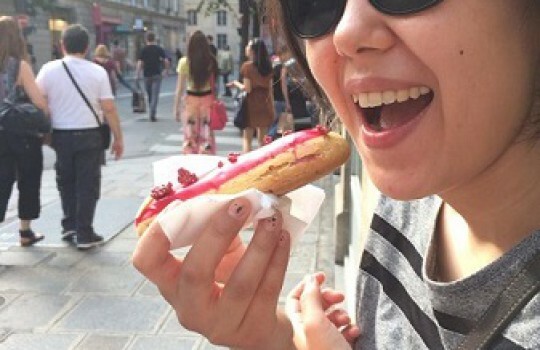 You can also enjoy the best éclair in the city at L’éclair de Génie. The area has lots of gourmet street food, including some of the best falafels in Paris. While waiting for our dinner at nearby Café Des Musées, we went to a beautiful park of the Lycée Général Victor Hugo with free Wi-Fi. The park lifestyle in the summer is amazing in Paris, with plenty of spaces to relax in nature. 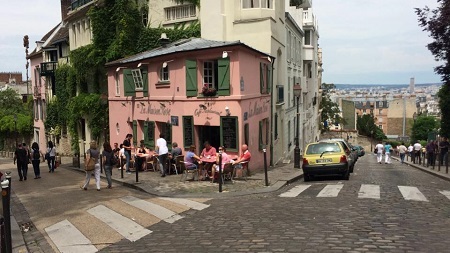 Monday morning was reserved for Montmartre, which was the main setting of the Amélie movie, also famous for Art Deco and street painters. After climbing the hill, we visited Basilica Sacré-Cœur bustling with tourists. On the way to Place de Tertre (where street painters work all day), we were lucky to witness a live band performance. Hungry and tired, we had lunch at Maison Rose - quite romantic and beautiful venue with decent food. 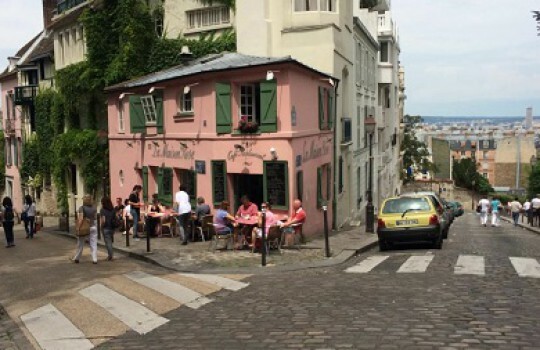 As we didn't research the restaurant scene well, we had to eat ad hoc, so I recommend planning your dining venues in advance to enjoy French food to the max! 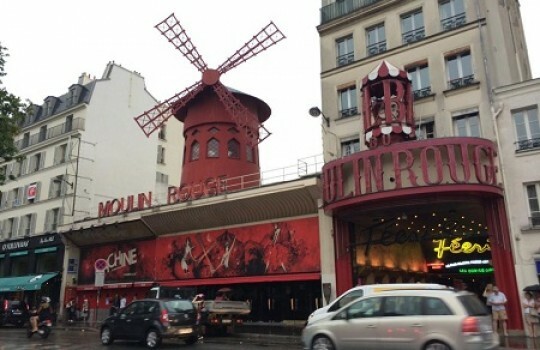 While in the 18th district, we quickly went to see the Moulin Rouge and also walked around the infamous Barbès Rochechouart station (notorious for cat-calling, illegal ticket sales etc. - can be intimidating at night). Ironically, this area is now getting gentrified with new hip bars, shops and restaurants. The Barbès market is also worth visiting during the day for ethnic produce and spices. I was eager to go to the Unkut store of the famous French rapper Booba in Châtelet. Booba is one of the greatest French hip-hop talents, especially notable for the song Le Crime Paie with Lunatic. Today he lives in Miami, sings in auto tune about his muscles and money, but also has a pretty funky fashion line Unkut that combines street wear with 21st century glamor (store located in Châtelet). 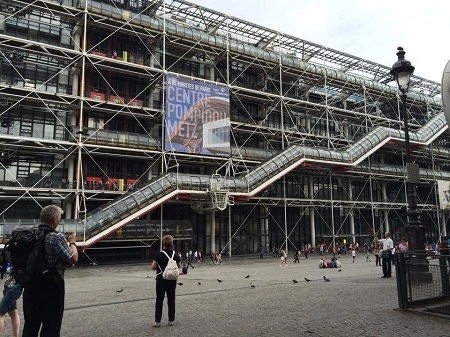 We walked from Châtelet to Centre Georges Pompidou - a wacky Post-modernist building that hosts a nice collection of 20th century modern art (with contemporary art exhibitions now and then). Nearby we had a famous flower shaped ice-cream at Amorino, which provided a great foodstagramming opportunity. The Beaubourg area is notable for street dancing, and we were lucky to enjoy an amazing street performance by an emerging dance crew. Sadly, this was the last experience of our trip, as we had to rush to the airport.